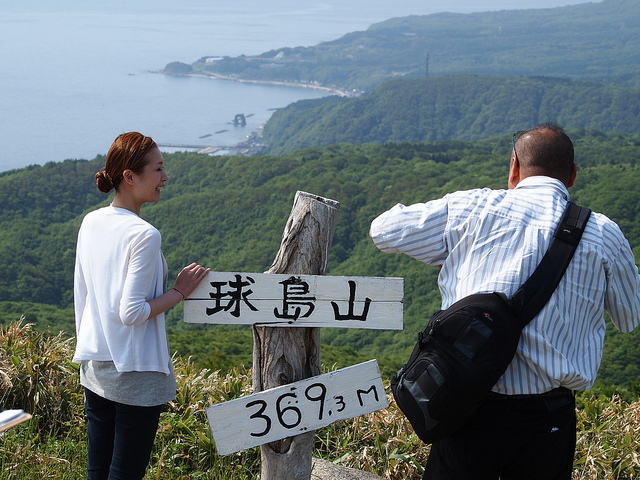 Do you know a Hokkaido island called ‘Okushiri Island’? The island is famous for beautiful sea and a wide variety of fresh seafood such as sea urchin and abalone, but it is also known for the Southwest-off Hokkaido earthquake, which hit the island on 12th July 1993. Approx. 200 people lost their lives due to the earthquake, and residents sometimes lost their belief in restoration. However, with a warm support and cooperation from all over Japan, the island managed to declare its full recovery 5 years after the earthquake. So, this island full of all the good things of sea has a unique dessert called ‘bola’. 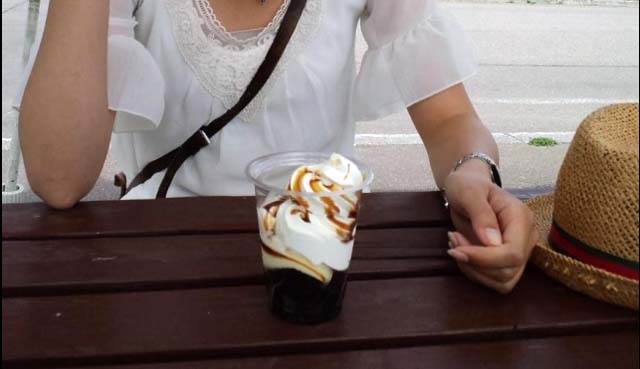 It is soft cream served with brown sugar syrup, coffee jelly and crème caramel in a cup. This dessert was originally served to those volunteer workers who came to the island and help the restoration of the island after the earthquake in order to express people’s gratitude to the volunteer workers, and is now being served to visitors of the island at ‘Sato Shokuzai’ near the ferry terminal. If you have a chance to visit this beautiful island, please try this dessert by the side of ferry terminal!